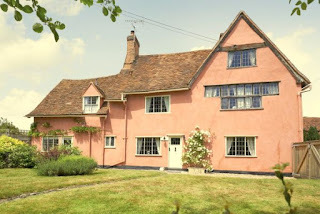 Cressland is a Grade II 15th Century timber framed, self catering holiday cottage, located right next to the famous `Splash’ in the heart of Kersey, one of the most photographed and picturesque villages in Suffolk. Whilst retaining the spirit of the past, Cressland has been sympathetically and tastefully restored to an exceptionally high standard and has been awarded five star Gold by VisitEngland. Cressland by the Splash is the perfect retreat to explore Constable Country, Suffolk’s idyllic open countryside, beautiful unspoilt villages and the Suffolk coast.